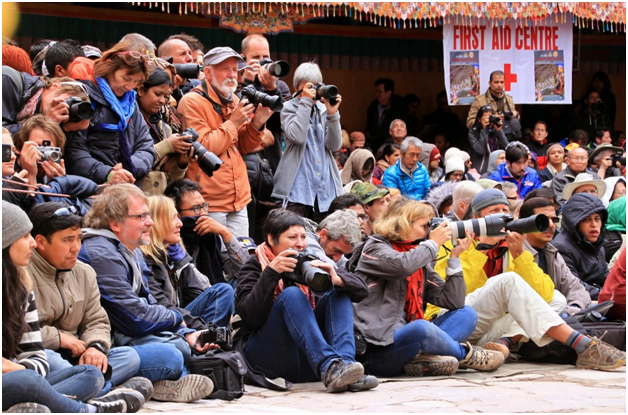 The Ladakhi Hemis festival is a colourful two-day festival which takes place in the Hemis Monastery at Leh. According to legend, the festival began back in 8th century. 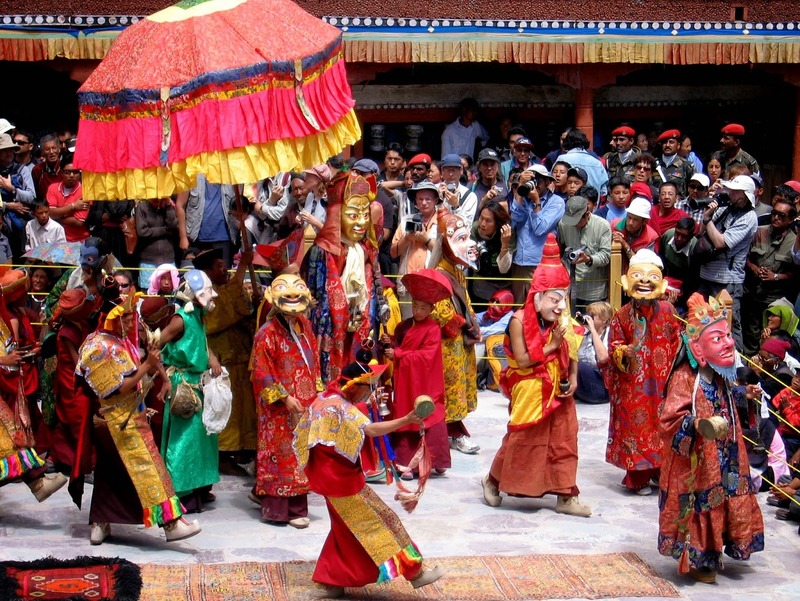 The Hemis festival is a unique occasion which combines both Buddhist and Tibetan cultures. 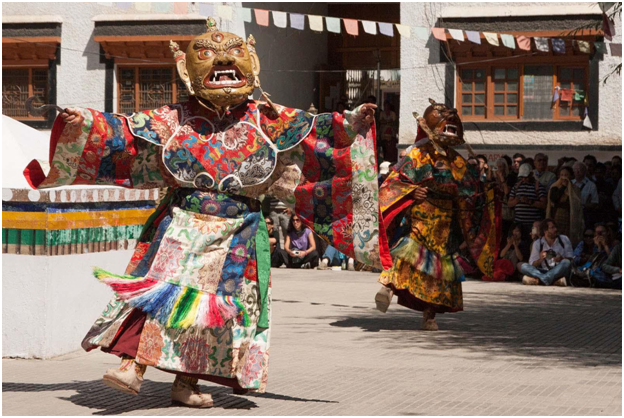 One should definitely visit Leh during Hemis festival to experience this fascinating culture! 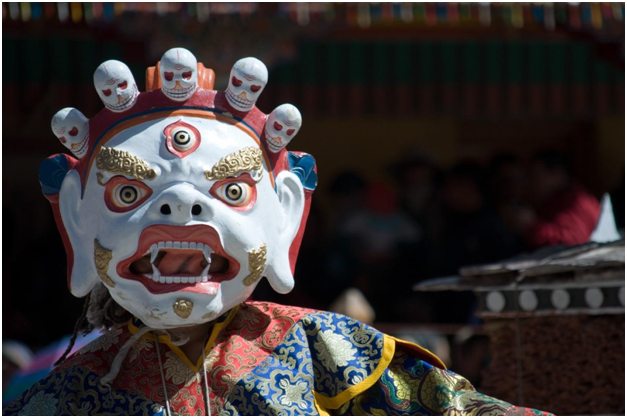 The popular Hemis festival celebrates the birth of Lord Padmasambhava also known as Guru Rinpoche, the spiritual leader who saved the people from the banished demons and evil spirits. 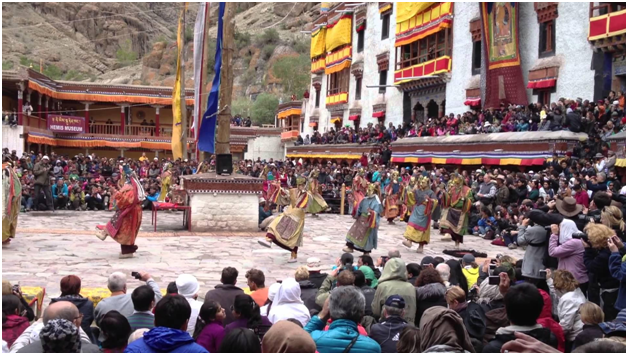 On his birth anniversary that is on the 10th day of the fifth Monkey Year (which comes only once in a cycle of 12 years), Hemis festival is celebrated. The tantric guru’s only mission was to improve and provide spiritual strength and good health to the people. People from all over the world come to see this unique festival. Festivities take place in the popular Hemis Gompa, which is the largest Buddhist monastery situated at distance of 45 kilometers from Leh. On the festive days, the local people are at their traditional best. Men wear cummerbunds and women wear vibrant and colorful headgears and loads of jewellery. The locals also have cooked rice, cooked dough and burn incense sticks to purify their homes. The festival starts early at 9 am in the morning and the fascinating part of the whole festival- the Cham Dance begins. 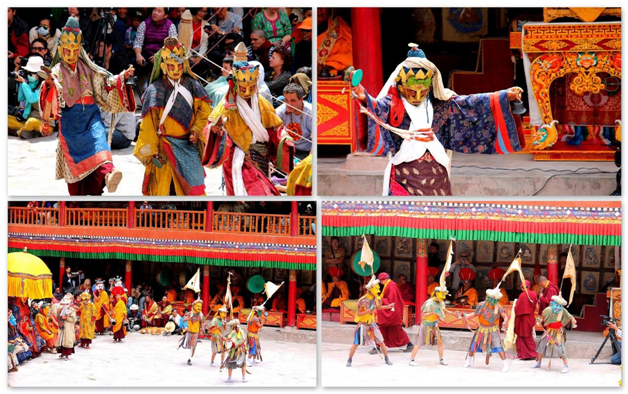 It is performed by the lamas (priests) and is a sacred masked dance. This dance, accompanied by musical drums, longhorns and cymbals, is believed to ward off evil spirits. The crowd unites to sing and dance when the dough idol of the evil spirits is destroyed, signifying that good has prevailed. The dances are said to be purifying for your soul and is a spellbinding spectacle. Since the festival takes auspicious turn in every 12’Th year, the largest ‘Thangkha’ (scroll painting) is taken out and embellished with pearls and semi-precious stones depicting the multicoloured Tibetan culture. The festival comes in the fifth month of Tibetan calendar- which falls in the first month of June or the first half of July and lasts for 3 days. Since the date every year changes (as the Tibetans follow the lunar calendar) the date for 2016 is 14th and 15th July. 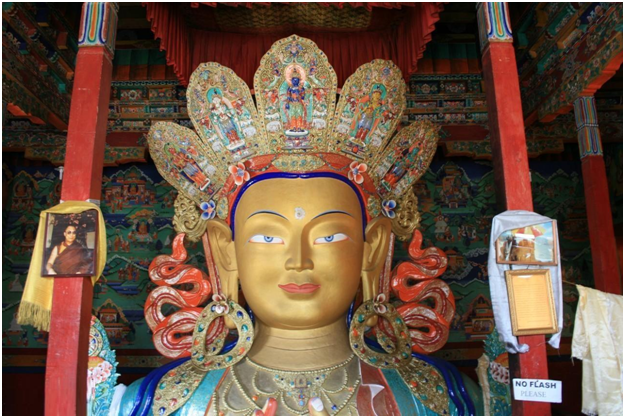 The Hemis monastery lies 45 kilometers away from Leh, in the Ladakh district of Jammu and Kashmir. The largest Gompa is accessible from most places. Inside the monastery and also outside during the festival there are number of stalls selling unique handicrafts and jewellery that one can check out. The festival is full of prayers, spirituality, and a vitality that is difficult to match. 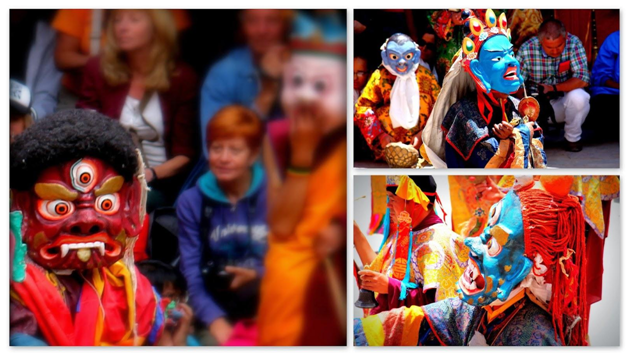 Accompanied with dance, music and colourful masked performances, the festival is surely going to thrill you. Ever experienced this beautiful festival first-hand? Share with us in the comments below!